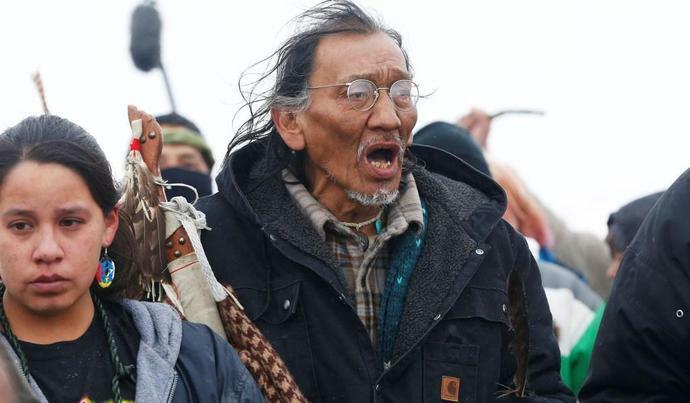 "Earlier versions of this story incorrectly said that Native American activist Nathan Phillips fought in the Vietnam War. Phillips served in the U.S. Marines from 1972 to 1976 but was never deployed to Vietnam," reads the correction to the Sunday report titled, "'It was getting ugly': Native American drummer speaks on his encounter with MAGA-hat-wearing teens." Phillips initially told the Post and a number of other prominent media outlets that he was surrounded and harassed by a group of MAGA hat-wearing students from the all-male Covington High School in Kentucky while he was peacefully demonstrating near the Lincoln Memorial during the annual March for Life on Saturday. That account, which was supported by a partial and misleading video clip of the incident, went viral and led to the targeted harassment of the boys and their families. Phillips, who conceded that he initiated the confrontation after the more complete video footage became available, also appears to have misled reporters about his military service, as he was described as a Vietnam veteran by Vogue and the Detroit Free Press, and, in an interview with CNN, he described himself as a "Vietnam-times veteran."